Order FALCONIFORMES: Vultures, Hawks, Falcons, Ospreys, etc. 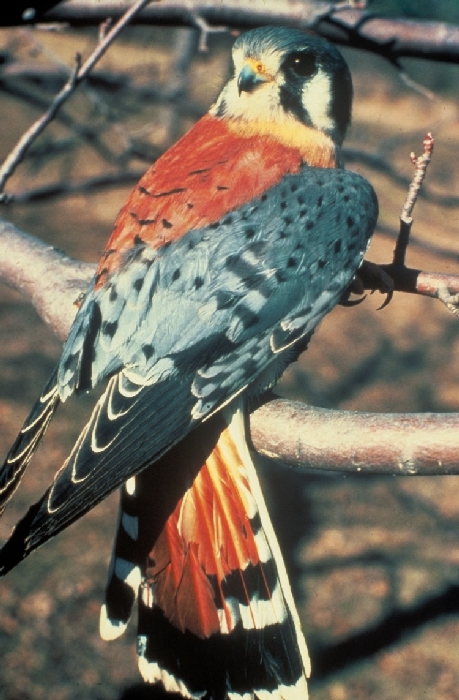 Kestrels are common birds at Cedar Creek and have bred in bird boxes there. Kestrels are occasionally present in the area in winter. A merlin was seen flying north of the Peterson farm on March 31, 1982. Bosanko saw a Merlin in spring 1991 and 1993. One was seen on occasion around the old Peterson farm in winter 1994-95.